Researchers at the International Institute of Tropical Agriculture (IITA) have come up with soilless yam propagation as they have successfully grown seed yams in the air using aeroponics technology. The fete is raising hopes and more options for the propagation of virus- and disease-free planting materials. Aeroponics System is the process of growing plants in an air or mist environment without the use of soil or an aggregate medium. 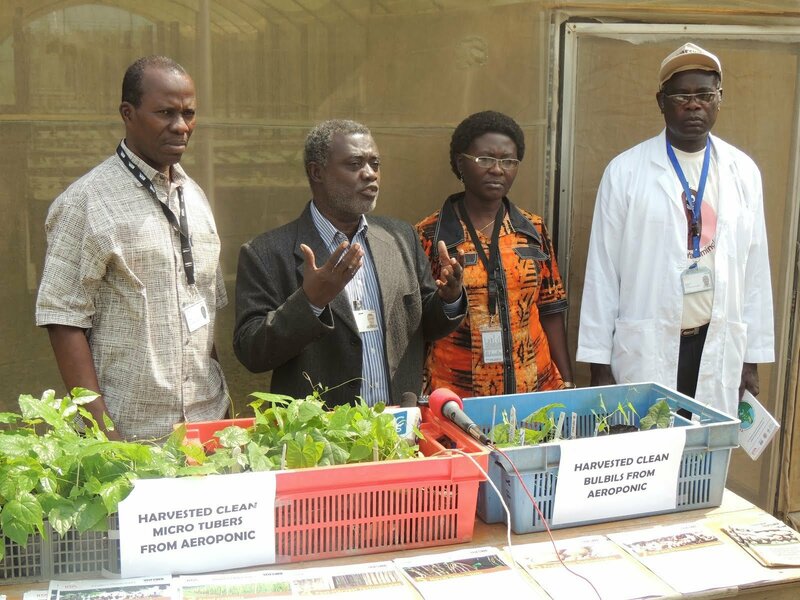 The technology is widely used by commercial potato seed producers in eastern Africa – like Kenya, Uganda, Tanzania and Southern Africa like Mozambique, Malawi – but successfully growing yam on aeroponics is a novelty for rapidly multiplying the much needed clean seed yam tubers in large quantities. Dr Robert Asiedu, IITA Director for Western Africa described the results as “impressive.” “Yam is an important crop in Africa and addressing the seeds’ constraint will go a long way in improving the livelihoods of farmers who depend on the crop for their livelihood,” he added.